Keep your hands warm without sacrificing dexterity. We matched windproof, three-layer poly fleece on the back with an anti-pilling, double-layer poly fleece on the palm to create a convertible glove that provides maximum warmth when you need it, and unimpeded access to your fingers when working with small flies or fine leader. Trim, comfortable fit. Embossed polyurethane palm for sure grip and water resistance. In black. 100% polyester. Super-Thin Neoprene Fishing gloves are available in in sizes: S (7/8), M (9/10), L (11), XL (12). Visions Fleece Gloves are made to work with a rod in your hand. They are made of Polartec® Wind Block® fleece that is highly water-resistant and breathable. They are also cut for a tight fit. This way it is easy to use them while fishing. Wind Block fleece has enough stretch to allow this. There are many sizes to help you find the perfect fit. There are two models; full fleece and fleece/neoprene. The model with neoprene has three fingers open in order to give you the touch you need for fishing while the other fingers are kept warm. Please Note: Size XS and XXL is a special order item and can take 4-6 weeks to arrive. Please Note: Size XS is a special order item and can take 4-6 weeks to arrive. Our most popular glove. 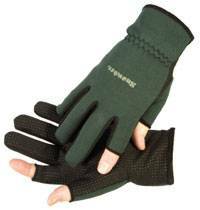 It uses SealSkinz patented technology, Merino wool and has grip dots on the palm and fingers. It is close fitting, dexterous, windproof, breathable and 100% waterproof. It uses SealSkinz patented technology whilst being high vis, and uses Merino wool and has grip dots on the palm and fingers. It is close fitting, dexterous, windproof, breathable and 100% waterproof. A rugged Kevlar® provides an unbeatable combination of strength and durability together with the waterproofing and dexterity associated with SealSkinz gloves. 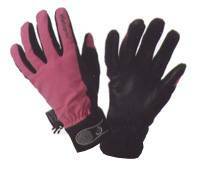 Specially designed to fit smaller ladies hands with slimmer wrists and longer fingers the ladies all season glove has all the features of the all season glove. 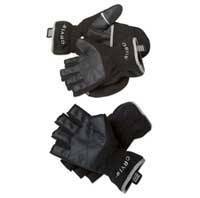 With a fine sheepskin leather palm and fingers and using membrane technology, with finger reinforcements for reins, this lightweight gloves offers superb fit and dexterity. Specially designed to fit smaller ladies hands, with slimmer wrists and longer fingers, this glove has all the features of the All Weather Riding Glove. This glove features a removable trigger finger, has an improved rip stop back fabric and a Gun Cut construction on the palm and fingers, is waterproof and dexterous. 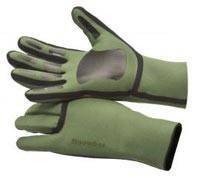 Featuring a removeable index finger and thumb, the sporting glove is available in olive green. With ripstop back fabric, it is both waterproof and dexterous. 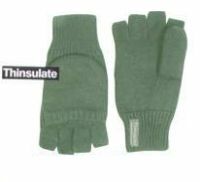 These Liners are specifically designed to be worn with SealSkinz gloves and socks to give an additional layer of insulation. They are made from Merino for extra comfort and wicking performance. 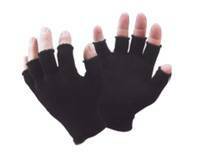 Made with Merino wool, these knitted fingerless gloves are warm durable and comfortable. Gone are the days of bulky combersome neoprene gloves. 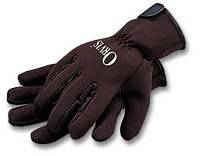 These sleak easy fitting neoprene gloves will keep your hands warm and still allow plenty of mobility. Thumb and 2 fore fingers cut away to allow detailed work.